Trees known as cladoxlopsids are not available for us to spread a blanket under the branches and have a picnic. They are extinct, but there are some detailed fossils available. 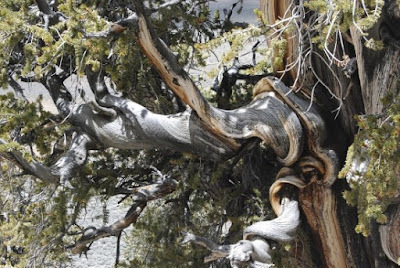 Like so many other discoveries of late, these trees were "advanced" according to Darwinian thinking, and were surprising to secular scientists. Like other recent fossil discoveries that surprised evolutionists, secularists are arguing from deep time evolutionary presuppositions. Simply put, they assume that life began in simple forms and then diversified, each climbing the ladder to becoming more and more advanced. Reality does not support evolution. In this case, the tree has tree stuff that you would expect today, and it did even more features than modern trees. That's because there was no Darwinian evolution, life was created. You savvy? In addition, detailed fossils around the world indicate rapid burial — and that is a strong indication for the Genesis Flood. To read the rest of this short article, click on "Extinct Trees Were World's Most Complicated".